Duplicate File Finder is the best solution for quick removal of duplicates and for organizing files and folders. It finds duplicate pictures, videos, music, documents, archives and other kinds of files. 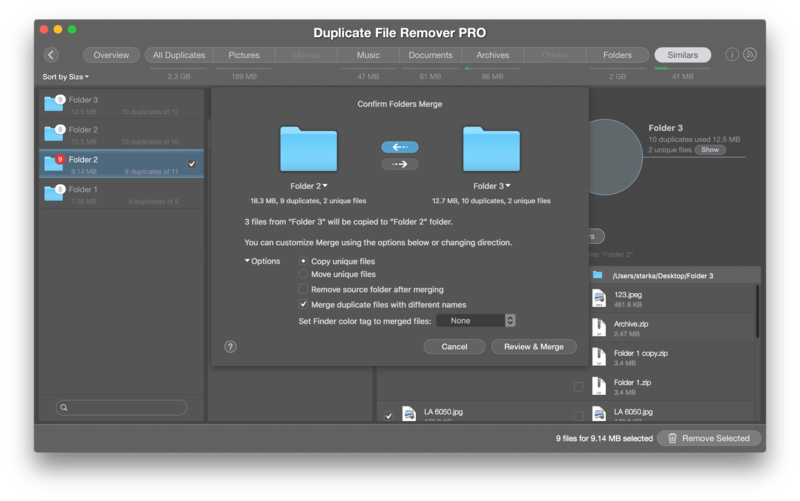 The application allows you to find duplicate files, not only on your Mac local disk but also on an external drive or a network drive. 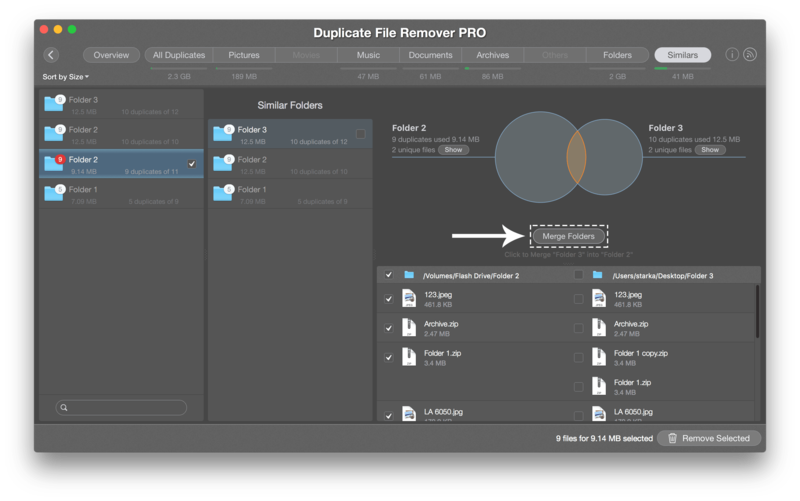 Duplicate File Finder finds duplicate files, duplicate folders and even similars, and provides the possibility to merge the similar folders. However, some users may be unable to copy or move files while merging the folders due to lack of space on the disk. In this article, we will tell you why this happens and how to solve this issue. Imagine you are scanning duplicate files and folders, for example, on the external drive and a folder on your local disk. Duplicate File Finder finds similar folders for scanned drives. On the screenshot above you can see that these folders contain unique files (displayed by the blue parts of the circles) and duplicate files (displayed by the orange part of the intersecting circles). You can merge these folders by clicking the Merge Folders button under the circles. In the next dialog window, you can choose files from which folder you want to move or copy to another folder. Detailed information about each folder is provided on the same dialog window. 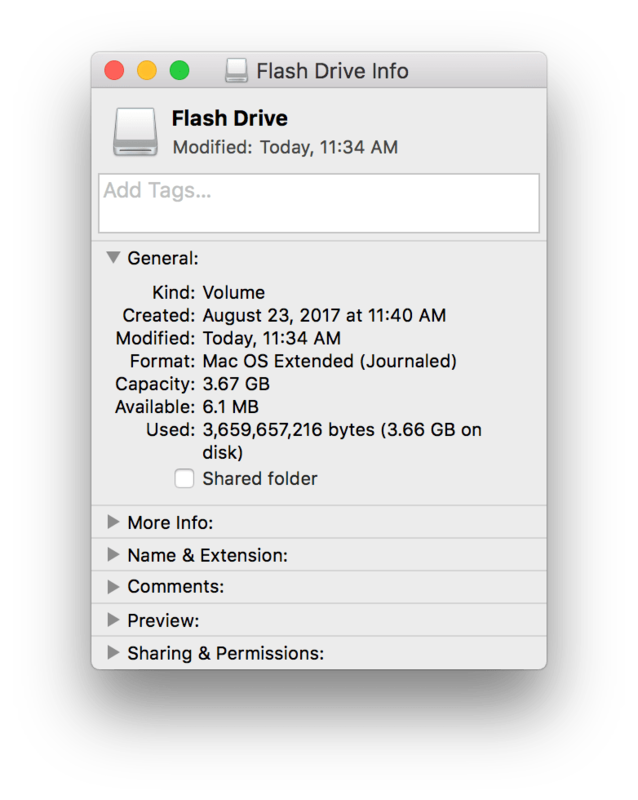 For example, the Flash Drive contains 3 duplicates and 34 unique files with the size 3.53 GB. The Folder 2 contains 3 duplicates and 4 unique files with the total size 1.13 GB. If we check the information about the Flash Drive, we will see that only 6.1 MB are available on it. “The destination folder is located on the disk with not enough space to move 6.1 MB from disk. You would need to free some space to complete the operation. Review your disk/folder, free up enough space for storing the new files, and then try again to merge files. If you still have any questions, contact us directly at [email protected] and we will assist you as soon as possible.